So, you’ve decided that you want to up your game and make more bread yourself this year. You’ve decided that you need to get something to help with the kneading (the hardest part of bread making I’d say) but you can’t decide whether you should go for a bread maker or to get a stand mixer. In this article I’m going to look at both products and work out which is best in the bread maker vs stand mixer debate! This is the most important factor I think when deciding whether or not to go for a stand mixer or a bread maker. If you simply want something that you throw the ingredients in and let it make you a loaf of bread then your choice will be easier to make. If you like baking cakes, meringues and pastry as well as bread then you might find the versatility of the stand mixer makes it a better choice. There is no hard and fast rule about which is better – take a look at the pros and cons of each kind of machine and see if they look like they’d be a deal breaker for you. 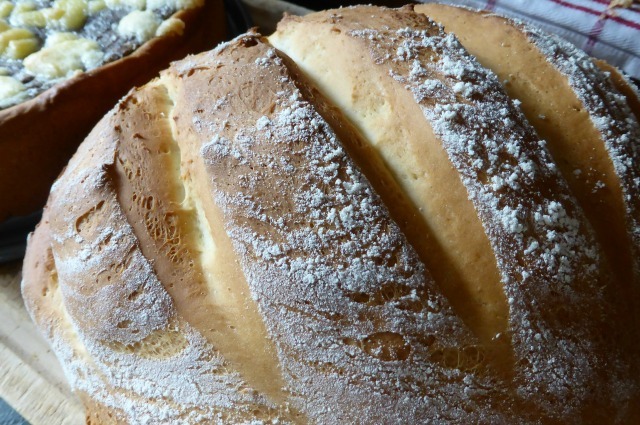 although some can make cakes and jam, they really are designed to just bake bread. Bread maker vs stand mixer – which is the winner? It looks like the stand mixer has way more cons than the bread maker when you start to break it down but of course it isn’t as simple as all that. Some bread makers aren’t that great at making bread and many people, especially if they buy a cheap one, can be disappointed very quickly. When I had a cheap bread maker I ended up using my stand mixer more just because it made so much nicer bread than the bricks that came out of the bread maker! When I upgraded to my Panasonic that changed though and my stand mixer now stays in the cupboard. Stand mixers require a bit more dedication to the actual making of the bread but if you like to make lots of different loaves that wouldn’t work in a bread maker they can be a great addition to your kitchen. And of course the options to use it for more things with all the attachments around can make it a good value investment. ← Lekue bread maker review – is it a gimmick or worth it?